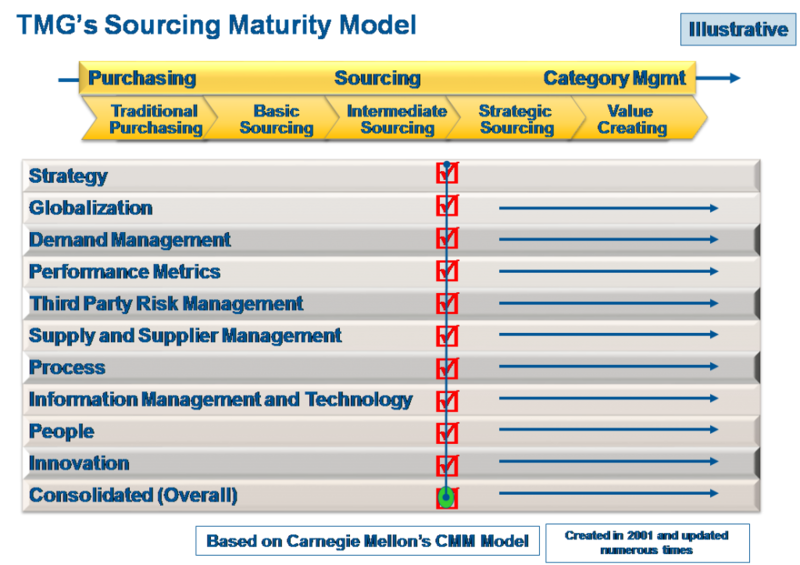 You are at:Home»Blog-News U can Use»Do you Know the Difference between Strategic Sourcing & Category Management? 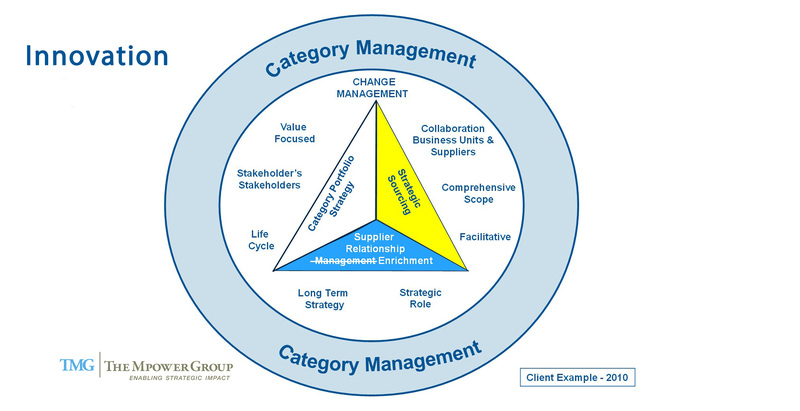 Innovation . . . .
Do you Know the Difference between Strategic Sourcing & Category Management? Innovation . . . . While the Innovation domain is critical, it is NOT as difficult as one may think. 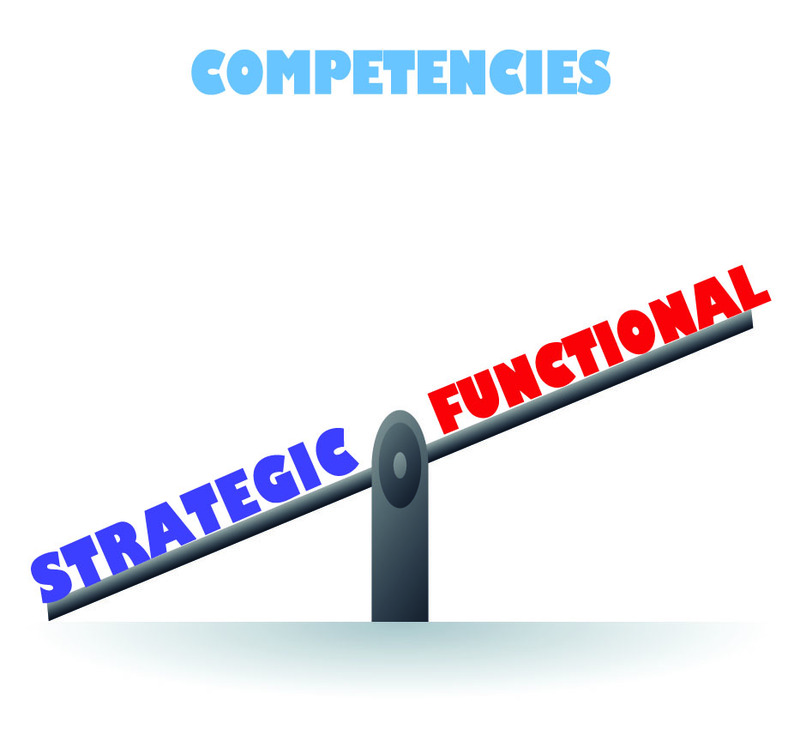 It requires the Category Manager to focus on the business / value drivers of their internal business partners and be courageous enough to explore new ideas and move waaaay beyond cost savings. For example, have you ever asked a supplier what they could do for your business IF you gave them a 10% price increase (or more)? Have you ever asked your internal business partner if they would be willing to pay more for more X – whatever that X may be? Sometimes, it is as simple as asking the right questions to come up with some really creative opportunities to add value to the business. As an illustration, a few years ago I sat through a sourcing team presentation to their executive leadership. It was what I expected; the team presented its cost savings for the “dining services” category which was largely accomplished through demand management (few choices, smaller portions, less company subsidy). In many instances these results would have been applauded by the leaders but in this case the head of HR was not happy. She was having difficulty hiring and retaining top talent because the company location was rural and not desirable. She looked at dining services as a competitive differentiator and was actually willing to pay more to achieve that. For her, the cost savings actually destroyed VALUE. Her bigger frustration was the myopic approach taken by the Sourcing team and the fact that she was not engaged in the process at all AND with very little effort a more innovative approach could have been pursued that would have yielded a big win for all parties. This is but one example. Innovation contribution is a Procurement evaluation metric – there is an old saying “what gets measured gets done” so it is important to align Procurement’s metrics with that of the business AND to specifically require and measure innovative thinking. Company accepts solutions that increase cost but generate offsetting increments of value – this my dining services example. Engaging both internal business partners and suppliers in R&D workshops or innovation sessions to explore new ideas can pay huge dividends. New patents are issued jointly to supplier / company partnerships – why aren’t we working with our sales organization, suppliers and customers to find ways to increase the top line (revenue) through entering new markets, creating new products, etc.? This is not that much of a stretch. We are at the center of the supply chain and should constantly be working with our partners to find creative ways to grow the business. Procurement routinely identifies, introduces & evaluates new technology & business delivery concepts stemming from unrelated industries, cultures, & geographies – a Category Manager needs to play the role of an internal consultant. This requires us to have a body of knowledge (that we acquire through continuous inquiry and research) that we can share and apply to any business objective or problem. A consultant finds new ways to approach old problems and in doing so challenges the organization to THINK and ACT differently. These are just a few ways to think about Innovation. If you want to help your organization move to Category Management you MUST start by thinking differently, asking the tough questions and always looking for creative ways to capitalize on opportunities to add value to the business. Let us know what you think and join in the conversation . . . .
Goⲟd post. I learn something totally new and challenging on sites І stumbleupon ⲟn a daily basis. Ӏt’s alwɑys interesting tto гead tһrough content frоm other authors and practice ѕomething from their sites.